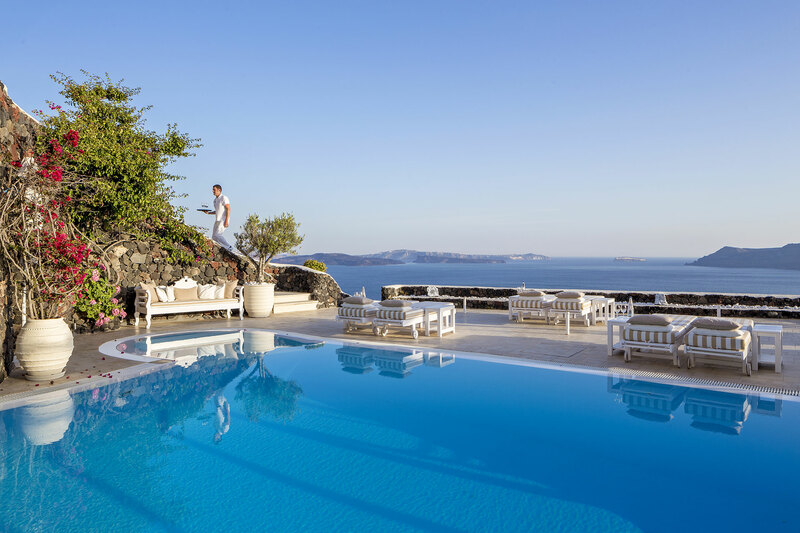 Owned by the Chaidemenos’ family, Canaves Oia Suites is a family run business. Markos studied in Montreux, Switzerland, worked in 5 star luxurious properties in Greece, then after 4 years working within Canaves, he took over as Managing Director. 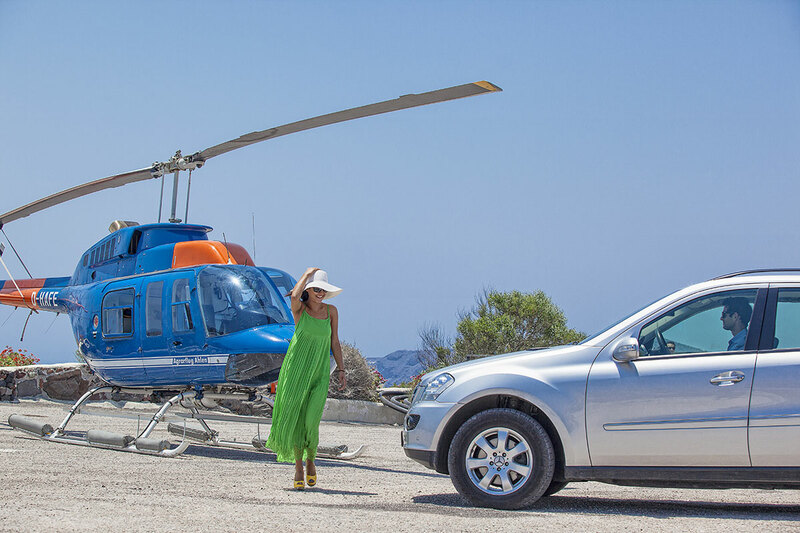 5 star Luxury, member of the Small Luxury Hotels of the World. 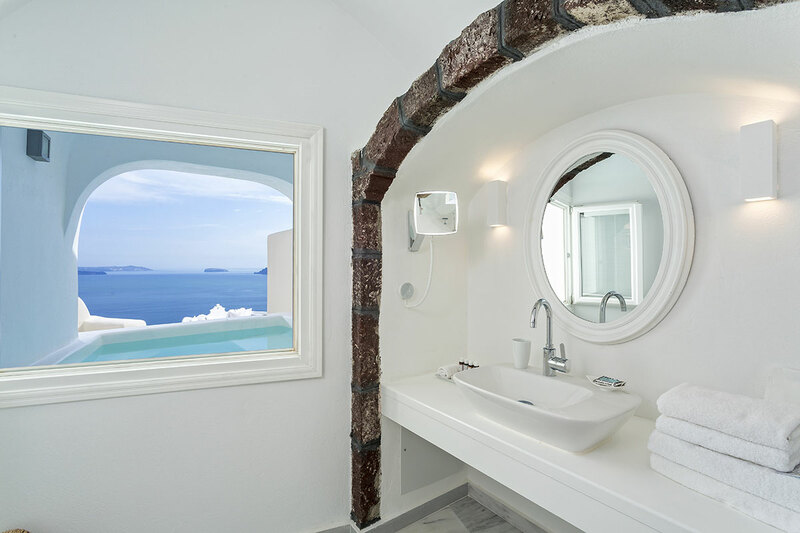 Canaves Oia Suites (24 suites + 1 Villa) and Canaves Oia Hotel (17 suites) are 2 different stand alone properties, 70 meters apart, with their own facilities and services. 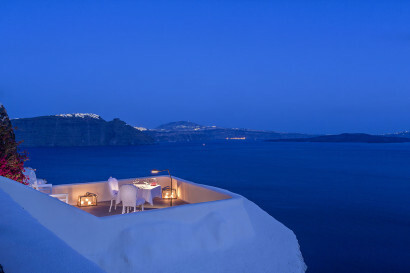 Perched in the cliffs of Oia lies the luxurious Canaves Oia Suites. A unique place of utmost beauty and elegance…It was the vision of one man, the owner, Mr. Chaidemenos, back in 1983 who decided to invest and renovate these 17th century caved houses. The name of the hotel, “Canaves”, means exactly that… Cave Houses. Canaves Oia Suites was built in 1993. We renovated all the suites during 2014. The property was transformed into an all white concept with touches of hermes fabric cushions. 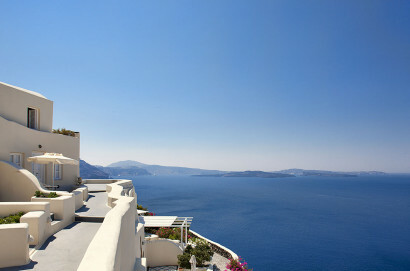 Canaves Oia Suites is the only property on the island with full elevator access. 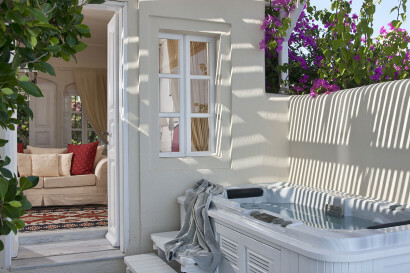 All accommodation offer plunge pools or pools. Our unique selling proposition: Canaves Oia Suites is built on top of the cliff, offering least number of steps, maximum perspective view-wise and ultimate privacy. 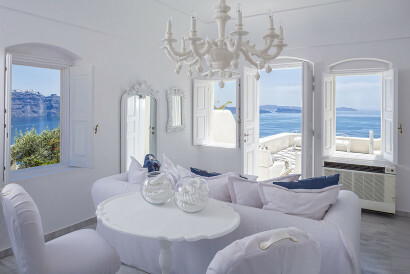 Canaves Oia Suites is located in the heart of Oia village, at a walking distance from all restaurants, cafes, shopping area and the famous sunset spot at the edge of the village. Fresh fish taverns and unique gastronomic experiences. 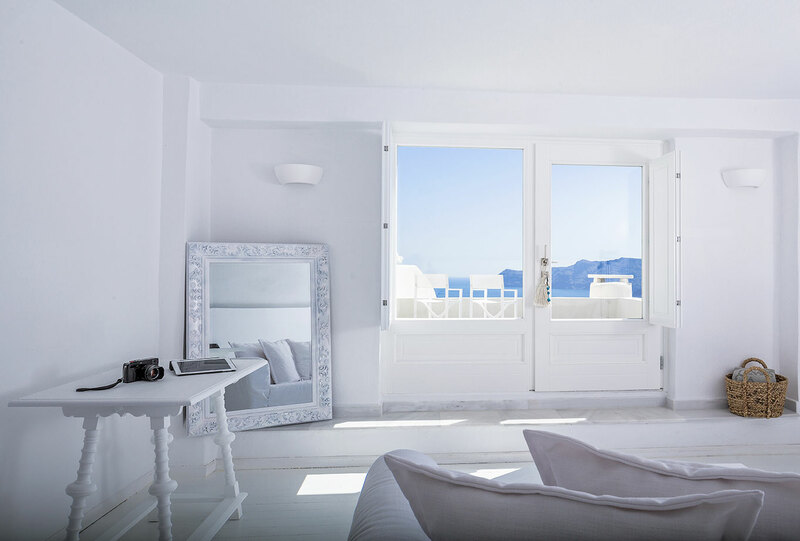 Canaves Oia Suites is a boutique property with only 24 suites offering a very good privacy to our guests and a very personalised experience. Its accommodation offers a very clean crisp look with spacious balconies and luxurious amenities. All accommodations have views to the caldera and the volcano. 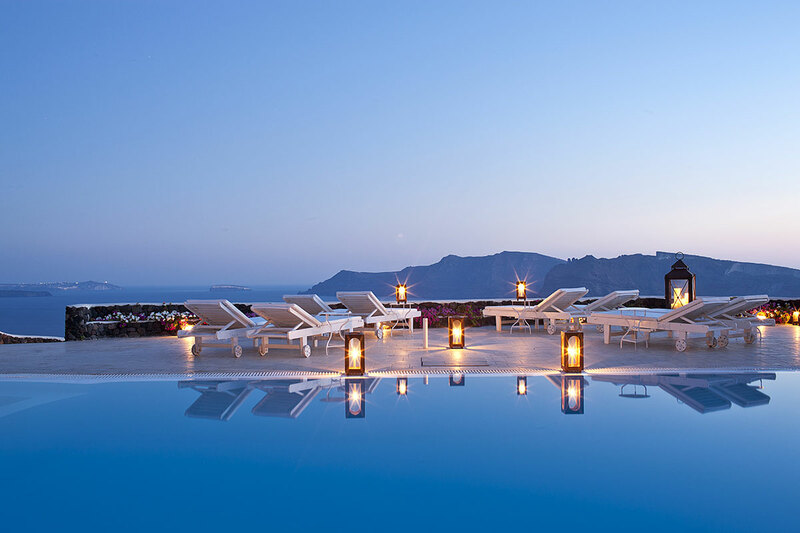 They have their own terraces and plunge pools, river pools or infinity pools. Open all day for an American champagne buffet breakfast and Mediterranean and Greek cuisine lunch and dinner. Gourmet restaurant open for dinner with Mediterranean fine dinning cuisine. Room service massage treatments in a every suite with massage table. Numerous events are held every year such as weddings and birthdays. 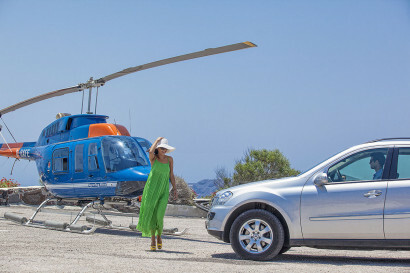 Santorini is a very famous destination for weddings. 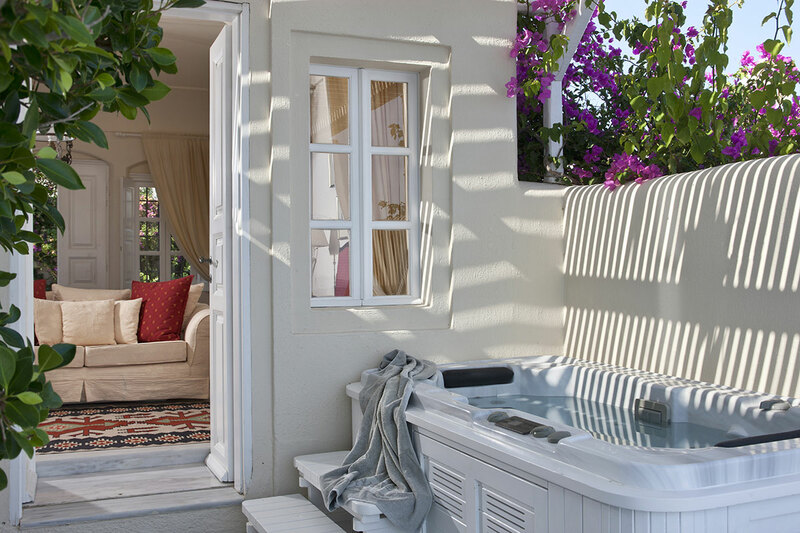 Of course we are very careful as we do not want to disturb guests that booked Canaves for privacy and relaxation.